For me, it is always about what I can give back to the carp for the pleasure I’m getting in catching them and what’s better than a perfect boilie. Johan Kruger, also known as Bambi, spiked a unique interest on our Facebook wall a week ago when we posted a photo of him and his 'mothership' common weighing in over 50lbs. We didn't think twice and just had to ask him a few questions about his catch and techniques. 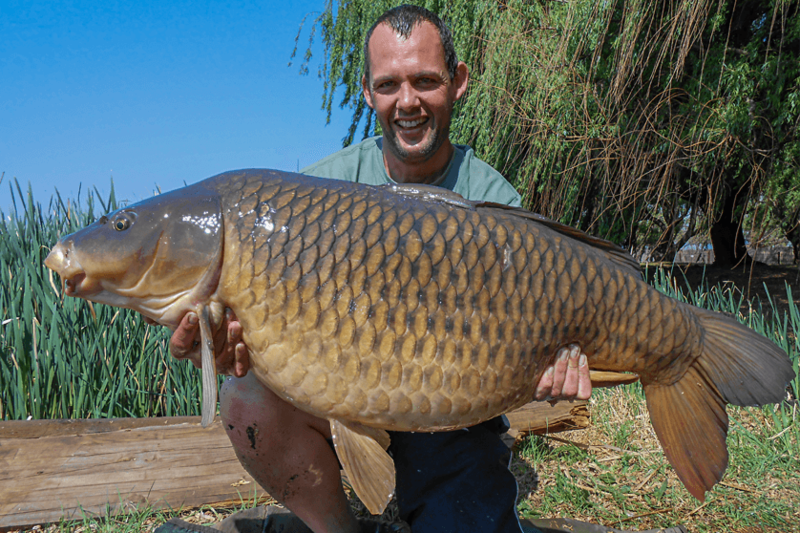 Bambi is known for his great success using homemade boilies, and believes he and his fellow bait enthusiasts found the perfect boilie blend (if you can call it that) – one of the keys to his success in specimen angling. 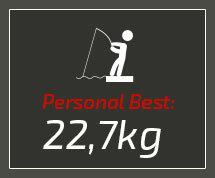 What is your personal best catch? Since I can remember… I was fishing; everywhere we went. I bought an Outdoor Pages DVD once where they explained specimen style fishing a bit better. That's where it all started; it became my mission to catch a carp on a boilie. I started reading up on forums, books and asked questions. Best of all, the first fish I caught on a boilie was homemade! I remember the days where I said I’ll give up fishing once I catch a 10kg carp… luckily my wife doesn’t know I said it at that stage in my life. Definitely my 50 pounder. Razvan Vlad (my fishing buddy) and I had the best trip ever. The last day I prayed for one last 'proper' fish, and half an hour later the Lord blessed me with a 50lb common. We landed four 40 pounders and the 50. The 'Plaasdam' without a doubt – a little piece of heaven-on-earth. Favourite rig regardless of conditions? The combi rig – simple and deadly, but always using a stiff-hinged with a pop-up on one rod. When casting, I either use an inline or safety clip with a 3oz lead, and 6oz on a safety clip when dropping line with my canoe. I love casting when fishing and feeding up with a boilie pipe and a PVA bag. Overcast and rainy weather with a constant barometric-pressure. I guess it goes with the Europe style of fishing. What’s your favourite feature to fish? I like to look for any little feature I can use. I like fishing between grass and in holes where they’ve been feeding through the silt for bloodworms. I don’t have experience on big waters, but for me it’s getting the fish into your area and keeping them there. Then, trying to outwit that big one! What was your biggest achievement for 2014/5? With the help of some bait enthusiasts… making the perfect boilie. Well, I think it’s perfect. 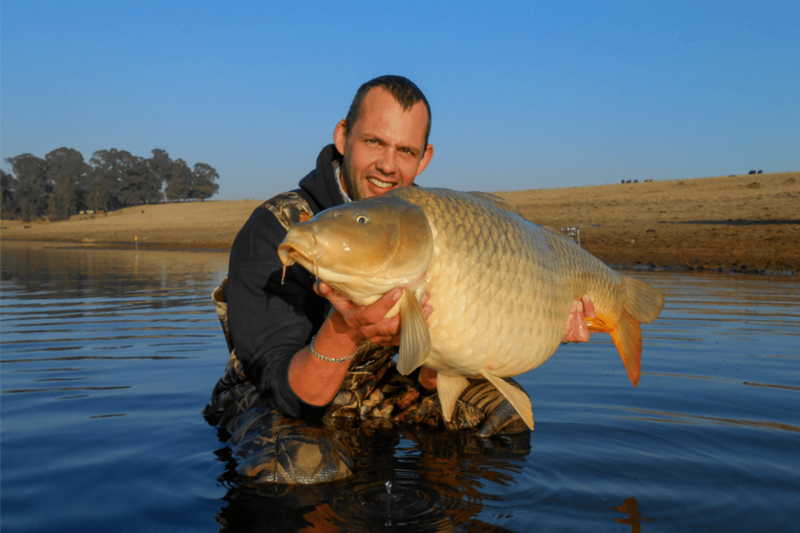 You are well known for your great success with your homemade boilies. What are your views on boilies? Especially with regards to homemade versus shelf-lifes or particles for that matter. I LOVE IT! With rolling your own baits, you know what’s going in there. For me, it is always about what I can give back to the carp for the pleasure I’m getting in catching them and what’s better than a perfect boilie. I will use any bait to be able to catch fish, particles included. But, especially with a venue like ours where we have been feeding 100kg boilies a month for more than a year, and we're still catching them on the same boilies. Well then, why use anything else? I prefer a fishmeal based boilie, but my favourite flavour is pineapple without a doubt. Don’t be afraid to ask questions with regards to baits. There are lots of people willing to help if they see you are putting in the effort. Google is also amazing. You caught some pretty substantial carp, what’s the best piece of advice you can give our readers when playing big fish? Keep the line tight and drag loose – you don’t want to lose that big one right in front of you. I can’t imagine there are rich people out there that doesn’t fish… crazy world we live in! If given the choice, would you rather do one four-day session in a month or four individual day sessions? I prefer a four-day session. There is too much stuff I take with me every time; I will spend most my time packing and unpacking. (Hehe!). I like to feed up proper and sometimes it takes them a while before picking up hook baits. On a four-day session, I can go through 30kg+ boilies if they are feeding. I love fishing, no matter the species. Some red wine with dinner – not lucky or special, but bloody lekker. Is there any final tip or lesson you've learned that you wish to share with our readers? Don’t be scared to think out the box or do things differently, sometimes it will pay off.